Mid-November is the peak of fall color here in southeast coastal Virginia. It is also when our area recieves our first frost. 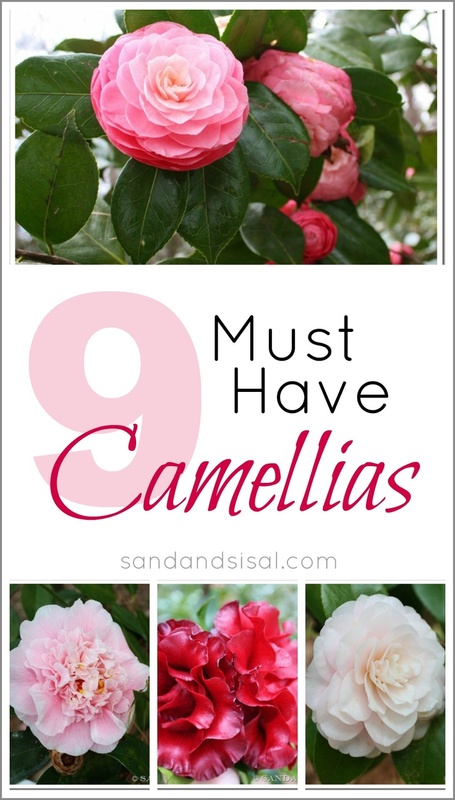 While the last of the summer flowers fade away, succumb to the frost, and die we have something wonderful to look forward to, a flush of fabulous fall blooming camellias! 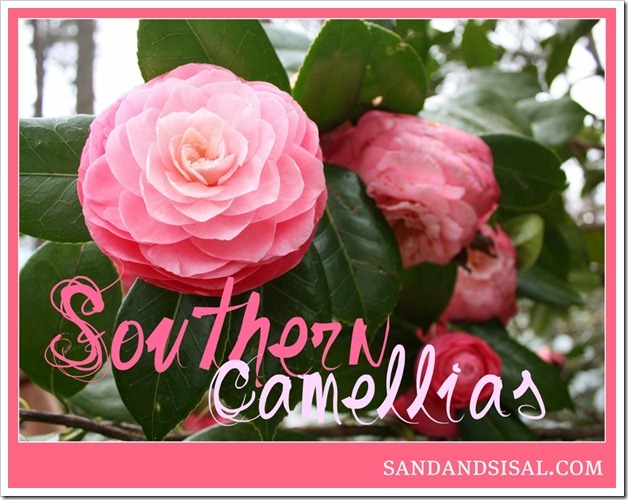 There are essentially two types of camellias that thrive in the south, sasanqua and japonica camellias. 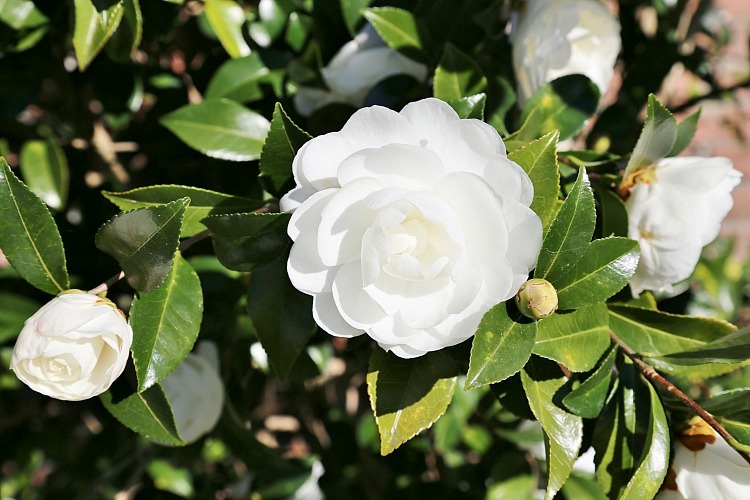 Japonica camellias like to bloom in the late winter and early spring and sasanqua camellias will bloom during fall winter, with sometimes a smaller second bloom in the spring. 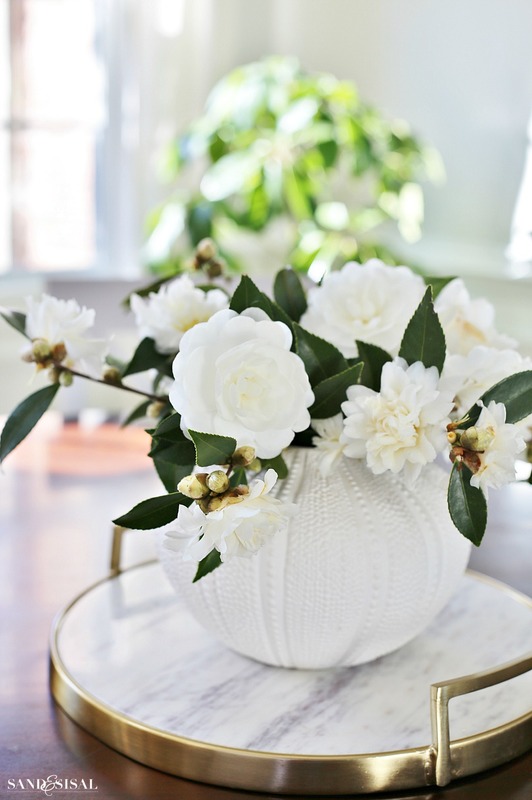 My favorite camellias are white. 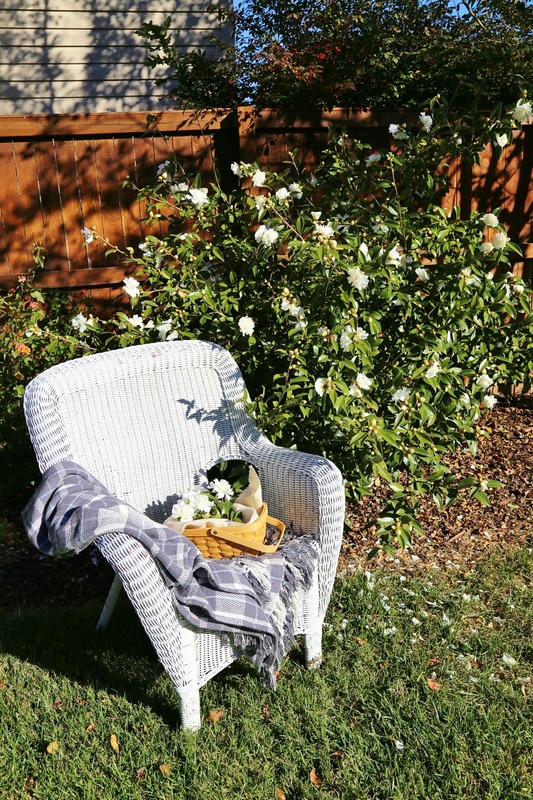 We have 2 white varieties in our yard and both are in absolute full bloom. 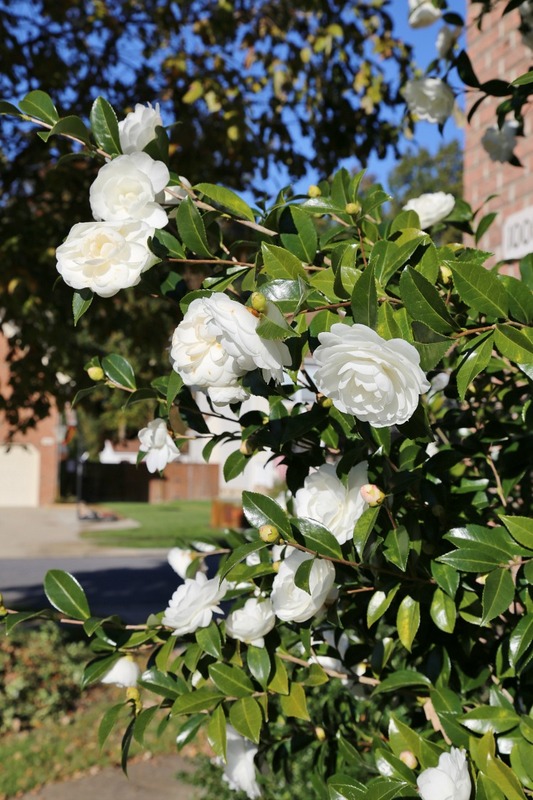 The white camellias looks wonderful next to the dark fence and brick. At night they seem to glow, and you should just see them in the moonlight! Magical! 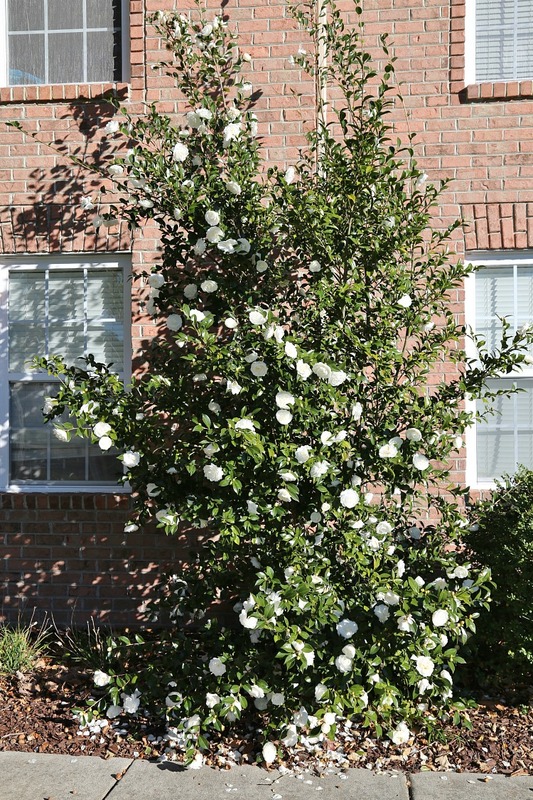 The largest camellia bush we have is Autumn Moon (Marie Kirk) Camellia (Camellia sasanqu ‘Autumn Moon’). It has reached mid-way to the second story which is approximately 13.5 feet. 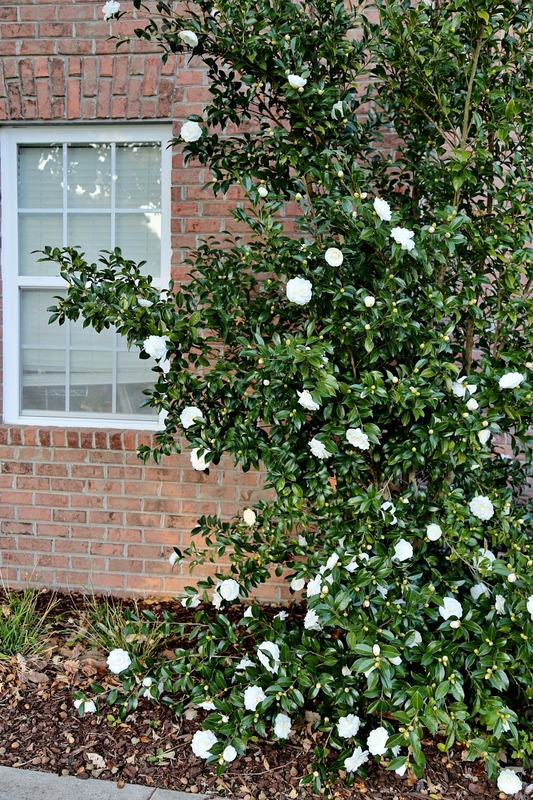 The average growth for this type is only 8′ so I think he is quite the happy camellia. Autumn Moon has beautiful 3.5″- 4″ formal, double flower blooms and dark glossy green leaves with slightly serrated edges. It is a vigorous upright grower and is hardy from zone 7-9. 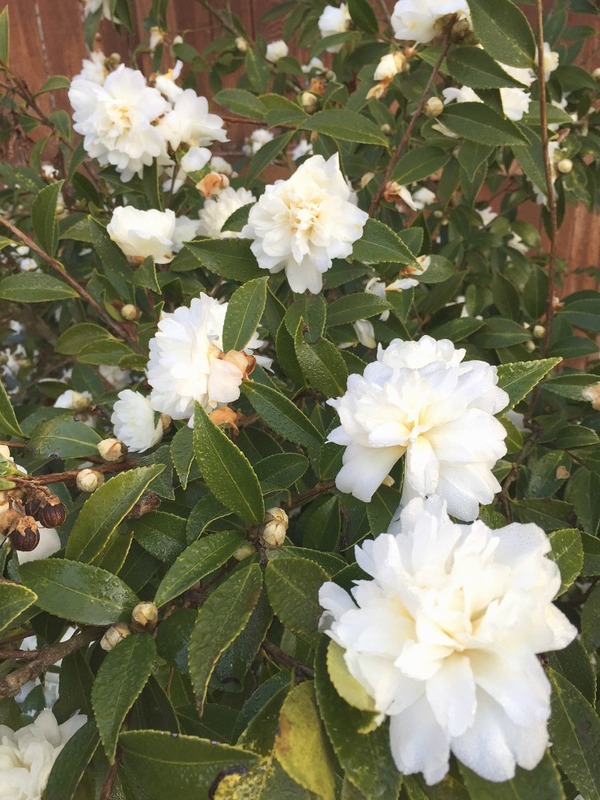 The 2nd white camellia in our yard is called Snow Flurry and I think you can see why! It leaves the ground underneath it looking life a fresh blanket of snow. 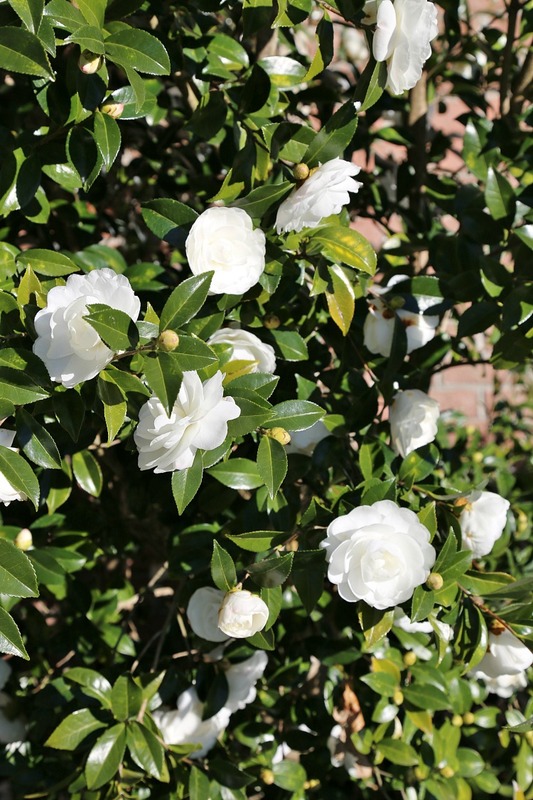 Snow flurry camellia has ruffled, smaller blooms with an anemone form and serrated, glossy green leaves. The bush itself is more sprawling, spreading shape and grows slower than Autumn Moon. Snow Flurry is zone hardy from 6b-8b. Technically the plant has a rating of only up to zone 7 but I’m in zone 8b and it’s doing fabulous. If you are not sure what planting zone you live in then here is a great link that will show you your exact zone for your zipcode: Planting Zones. 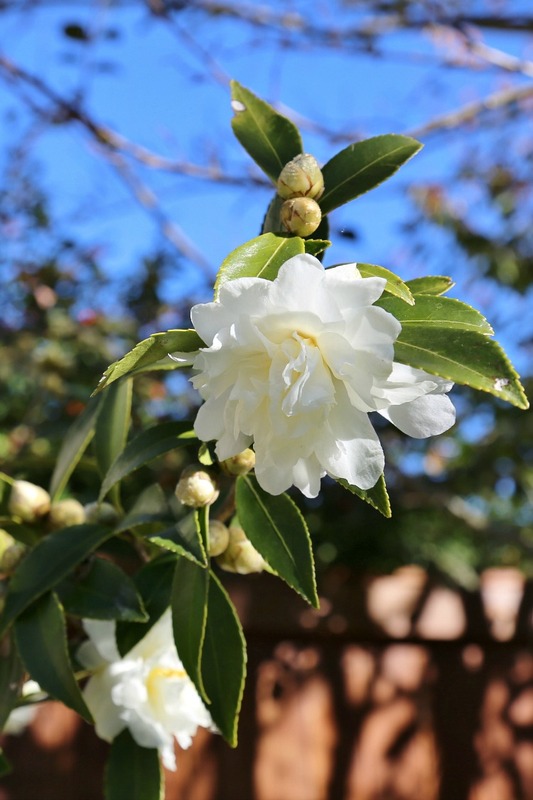 The centers of the Snow Flurry camellia are light yellow. I love to take cuttings of the camellias for arrangements. 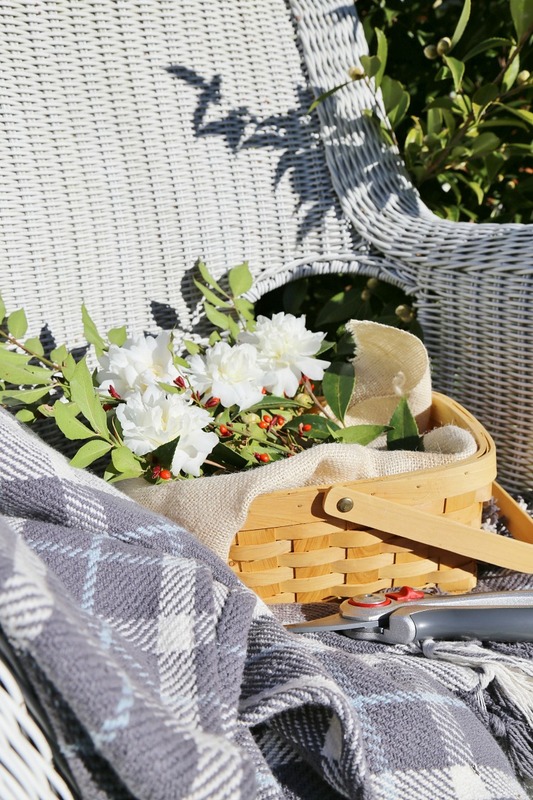 The blooms won’t last more than a day or two once cut but can make a gorgeous arrangement for a dinner party. Here is one arrangement I made this week for our dining room makeover. 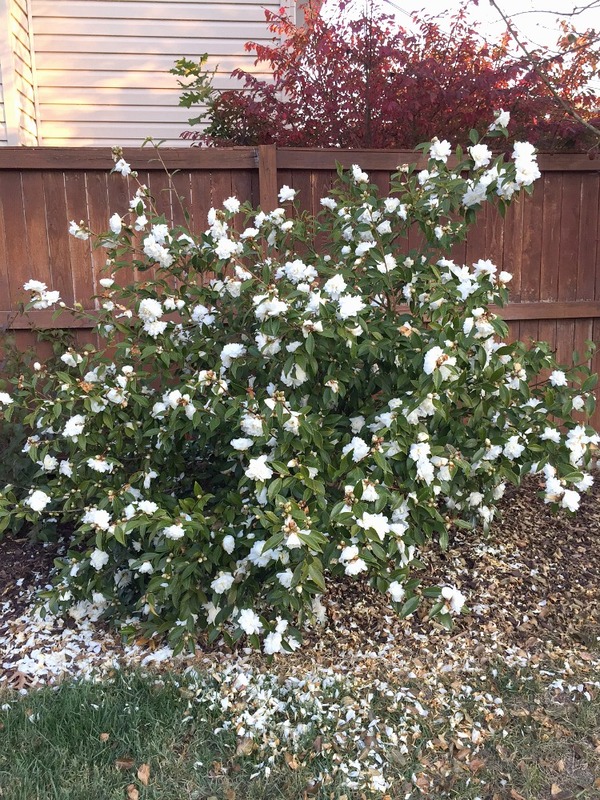 It has both the Autumn Moon and the Snow Flurry fall blooming camellias. LOVE IT? DON’T FORGET TO PIN IT! Love seeing your beautiful flowers! We have 2 pink camellias in our yard that bloom late winter/spring, and there are more buds on them this year than ever before. I think the white ones look best because the color pops against the dark leaves. Thanks for sharing.